Jurors jumped as the wild boar in the motorcycle headlights suddenly filled the large screen in front of them. A week later they awarded the motorcyclist several million dollars against Caltrans for not mitigating a chronic wild pig problem on Highway One in Monterey County. The jury found that the motorcyclist had a 0.10 blood alcohol level and was negligent, but that our HD-video visibility study showed that even an unimpaired driver could not have seen the pig in time to avoid it. Therefore the jury found that the alcohol was not causal and determined there was no comparative fault. This determination was supported by our foundation testimony for the visibility study along with the testimony of two human factors experts. The jury indicated that the defense experts' testimony claiming greater visibility based upon light meter measurements did not realistically portray the real world driving situation. Question: Could the driver at the stop sign see far enough to his left to safely complete a turn? Was a pedestrian visible in low beam headlights long enough for an average perception/reaction/avoidance time? If what someone could have seen is an issue, driver's eye viewpoint HD-video - or calibrated still photo - visibility studies have almost completely replaced computer animations in effectiveness, admittance into evidence, and attorney demand in the last two years. Moreover, much smaller cases are now being prepared with HD-video or calibrated still photo visibility studies than was the practice two years ago. The changing economy has caused carriers to go to trial, or to the courthouse steps, on $100,000 polices which previously would have settled early. This has encouraged us to streamline our HD-video scene work and exhibit preparation processes to accommodate such lower budget cases. Still photos with proper foundations provided for the level of detail shown, angle of view, viewing distance and other technical requirements can be an alternative economical choice - in appropriate cases - if motion is not a major factor. HD-video taken with a true professional camera is vividly detailed and emulates the rich texture of the real world. A computer animation cannot compare. For this reason, when driver's viewpoint computer animations and HD-video driver's eye visibility studies go head-to-head the computer animation is at risk of being excluded from admittance in evidence. A visibility study using HD-video, properly prepared with a competent expert foundation, shows real-world (Newtonian-based) vehicle motion, and accurate perspective. On the other hand, a computer animation contains whatever motion and dimensions are input by the artist. In nighttime or reduced light situations, only a properly-calibrated video - with the foundation systematically established using procedures accepted in the scientific community for four decades - can accurately convey the visibility available to a driver/pedestrian/witness under the particular circumstances of the subject incident. Advanced HD-video computer processing programs now allow "videoin-video" composites. For example, a driver's eye view can be taken going down the freeway at night. Separately, the striking vehicle can be driven slowly approaching a stopped car on a frontage road while another video is taken. The second image can be inserted into the freeway scene seamlessly at full-speed - right up to collision - and it looks like real life. It is no longer necessary to close the road to do this work. HD video's digital capabilities allow the interposition of computer generated images of an object, person or vehicle into the HD video presentation, which allows reproducing a scene not otherwise available. The bottom line technically, and for effectiveness, is the image which is delivered in the courtroom. It must be as close to life-size as possible, show the relevant part of the scene in front of the driver, and be bright enough to overcome courtroom "security lighting." Accomplishing these goals is inconvenient. The professional HD-video playback deck produces five times the number pixels possible in a DVD - but costs ten times as much as a DVD player. A projector five times as bright as the typical courtroom service projector weighs 90 pounds, takes 10 minutes to set up, but delivers a 90 degree angle of view - what can be seen through the entire windshield - on an 8 foot screen only 8 feet in front of the jury. Foundation expert testimony is necessary to explain the differences between what a driver has available to see - or might perceive - under accident conditions and what a juror has available to see when viewing a visibility study in the courtroom. Expert testimony also deals with the calibration process for showing nighttime visibility, angles of view, multiple repetitions of viewing, and expectancy. Animations are useful to illustrate vehicle paths or maneuvers, but cannot contain the detail and texture of the real world or accurately depict the visibility available to a driver or pedestrian. Since animations are demonstrative evidence - moving drawings - few animators have experience as expert witnesses getting their work into evidence. Visibility studies accurately show what is available to be seen under defined, relevant circumstances. The methodology for preparing a visibility study involves foundation input from experts in such fields as human factors, accident reconstruction engineering and engineering photography. The testimony of these experts supports the range of foundational speeds, vehicle positions and timing used in the visibility studies. A computer simulation - as distinguished from an animation - is the depiction by the computer of vehicles moving as they would in the real-world. Computer programs performing this function are commonly used by accident reconstruction experts. The central feature of computer simulations is that they receive input for certain variables, such as vehicle weight, speed, inertia, coefficient of friction, drag, skid factors, gravity and vehicle crush data. Once these factors are inputted, the computer program then, in effect, runs a series of crash tests. The expert makes determinations as to values and entry of data, but the computer program, comes up with an analysis and thus becomes a "witness" in determining whether a particular "fact" is an issue, is true and has independent evidentiary value. Because the program accomplishes the mathematical calculations that an expert would have to normally do, such programs are an integral part of the accident reconstruction expert's analysis. A computer simulation therefore is different from a computer animation. A computer animation program does not have to follow the laws of physics and is simply an illustration. Because the validity of the analysis prepared by the computer simulation depends upon scientific principles, such simulations are treated like other scientific evidence and are evaluated under a Daubert or Frye test to determine admissibility. The underlying scientific or physical principles involved and validity of the computer program to utilize such scientific principles and the selection of input data, must be validated through a witness. A frequent error is the mislabeling of computer animations or illustrations as simulations, when they are simply artistic renderings of a theory, without underlying scientific validity. Both HD video visibility studies and computer animations are generally considered to be demonstrative evidence because they merely illustrate or present the theories and testimony of an expert witness, which could otherwise be given even without such visual presentation. Computer animations can also be admitted simply to illustrate general principles or general scientific theories that can be used for educational value. These general types of presentation - as opposed to presentations that purport to show what actually happened in an accident or situation - enjoy a relaxed standard of admissibility. As demonstrative evidence, a computer generated animation does not depend upon the proper application of scientific principles for its validity. It is most often used and found admissible when illustrating an expert's testimony as to how an event occurred. The weight given the animation by the court or jury is completely dependent upon the expert's testimony and credibility. The general foundation requirements for admissibility of a computer animation are (1) authentication; (2) relevance; (3) fairness and accuracy; and (4) whether its probative value does not exceed its prejudicial value. In general, the basic method for admitting HD video visibility studies and computer animations is establishing fairness, accuracy and substantial similarity to the event in question. Attacks can be made on the admissibility of such presentations on the grounds that substantial similarity does not prevail or that elements have been distorted, or over-emphasized if unfairly restricted to twist or manipulate the presentation. The admissibility of a visibility study often involves an argument over whether the study is a "re-creation," "reconstruction," or "reenactment." Generally a visibility study or animation is not defined or represented to be a recreation of what a particular witness or plaintiff actually saw. Instead, such studies are simply an engineering tool intended to illustrate the testimony of expert witnesses and their opinions as to what a person with normal unimpaired vision could have seen and what was available to be seen at the time of the incident in question. A visibility study is sometimes admitted to illustrate the testimony of a percipient witness. Evidentiary challenges to visibility studies, animations and computer simulations may also invoke the application of the Daubert standard for admissibility of scientific evidence. It is thus advisable for you to be aware of the Daubert standard and prepare the expert to meet that standard of admissibility. The Supreme Court of the United States has held that Rule 702 requires a trial judge to "ensure that any and all scientific testimony ... is not only relevant, but reliable. "1 The Daubert court emphasized, however, that in carrying out its "basic gatekeeping obligation" the trial court must apply a "flexible" Rule 7022 standard. In Kumho Tire Co. v. Carmichael3 the Supreme Court ruled that the gatekeeping function is a flexible and common sense undertaking - the trial judge is granted "broad latitude" in deciding both how to determine reliability, as well as the ultimate decision of whether the expert is sufficiently qualified is accorded great deference. Consequently, it is important for you to attempt to have the expert prepared to testify that their opinions have been developed pursuant to scientific principles, that the exhibits illustrate those opinions, and that the opinions and the methodology used to reach such opinions have been subject to peer review and publication. It is also important to have the expert testify that the theories and techniques used to develop the exhibits enjoy general acceptance within a relevant scientific community such as national or international engineering societies. Finally, the Daubert standard can be met if the expert testifies that they employed standards to control the technique's operation in order to avoid high, known, or potential rates of error. When an expert testifies that rigorous methodologies were employed, with rechecks and recalibrations of measurements, such factors can, in fact, meet the Daubert standard. Generally, the courts have imposed the use of a cautionary instruction to the jury to admonish the jury that the "demonstrative evidence" is only illustrative of the expert's testimony and can be freely accepted or rejected in whole or in part. The failure to give such an instruction can be problematic on appeal. Demonstrations by a witness while testifying are admissible to illustrate the witness' testimony if conducted under substantially similar conditions to the matter at issue. Substantial similarity does not require that the conditions be absolutely identical. Demonstrative evidence need not be authenticated further than to establish the fairness and accuracy of its portrayal.7 Once a knowledgeable witness testifies that the illustrative or demonstrative exhibit generated by a computer or a visibility study fairly portrays a relevant subject matter, the exhibit is considered to have been authenticated and may be received, without more, subject to Rule 403 regarding prejudice and probative value. In Black v. U-Haul Co.,8 a passenger in a rented moving truck was killed in a head-on accident with a tractor trailer. The court held that the defense expert's testimony and a video animation illustrating his testimony regarding the actions of the truck driver, as well as videotape of driving tests conducted by a truck rental company employee were both admissible. The court held that the testing video was admissible for the limited purpose of illustrating a general principle, i.e., how a moving truck would handle the brake if a supporting nut was in a particular loose position. No abuse of discretion was found. In Montag v. Honda Motor Co.,9 a products liability action was brought against the automobile manufacturer after the car collided with a train. The contention was that the auto seatbelt had malfunctioned, enhancing the injury. The manufacturer introduced a videotape depicting a collision between a train and automobile for the limited purpose of demonstrating the physical forces at play in the train-automobile accident. The court allowed the videotape with a limiting instruction that the videotape was not intended to be "recreation" of the accident. The Tenth Circuit affirmed and did not apply a Daubert analysis. In Edwards v. Atro SpA,10 a worker was injured when a pneumatic nail gun accidentally discharged. The court held that a videotape demonstration of the plaintiff's opinion witness dealing with a triggeronly activation gun versus a contact-only activation gun was relevant and admissible even though the conditions shown in the videotape were different from those involved in the accident. In People v. Rodrigues,11 the California Supreme Court allowed a crime scene reconstruction video. The videotape was offered as demonstrative evidence to show the relative locations of the victim's apartment, the stairways, and the witness' vantage point as she saw the assailants flee the scene. Because the witness confirmed that the videotape accurately depicted the area where the witness was and the where she saw the assailants, the videotape was a reasonable representation of such testimony. In Robinson v. Missouri Pacific Railroad Co.,12 the court allowed into evidence a videotape prepared by the plaintiff's expert, depicting the plaintiff's theory that the automobile entered a railroad crossing and was struck by a train. The railroad objected on the grounds that it omitted particular details and was an inaccurate re-creation of the accident. The court gave a limiting instruction and noted that the videotapes were not offered as substantive evidence but only to illustrate the opinions of a witness and the principles involved. In DiRosario v. Havens,13 the court admitted a filmed reconstruction of an intersection accident. The reconstruction expert produced a videotape using eyewitness statements, police reports and his own visit. The reconstruction portrayed a pedestrian walking in a crosswalk while an automobile similar to the defendant's car approached the same intersection from the direction noted in the police report. A camera was placed in the vehicle at the driver's eye level. The defendant challenged the videotape on the grounds that the lighting was different, the pedestrian was a different height, the lane markings were different, and the camera was different from the human eye. The court allowed admission on the grounds that the video showed substantially similar conditions. In Culpepper v. Volkswagen of America, Inc.,14 the court admitted a filmed reconstruction of a vehicle rollover. The plaintiff alleged that a vehicle had an unsafe design because it tended to roll over at various speeds when the wheels were turned to a certain degree. The plaintiff used a film depicting an experiment in which the vehicle was run at various speeds without a driver, even though in the real accident there was a driver. The court held that the tests using the driverless car were properly admitted because they would be of assistance to the jury even though the absence of the driver was not substantially similar to the accident. Juries are composed of sophisticated consumers who have come to expect high tech visual presentations such as the ones they see on television and in the movies. The persuasive value of this type of evidence can be very compelling. Because jurors are so familiar with these types of presentations, high definition video, calibrated still photo visibility studies and computer simulations allow lawyers to use the latest in technology to present their cases in an effective and efficient manner. 1 Fed. R. Evid. 702, Daubert v. Merrell Dow Pharm., 509 U.S. 579, 589 (1993). 3 526 U.S. 137, 141-42 (1999). 4 Daubert, 509 U.S. at 592-94. 5 62 Cal.Rptr.2d 137 (Ct. App. 1997). 7 Gregory P. Joseph, A Simplified Approach to Computer-Generated Evidence and Animations, 43 N.Y.L. Sch.L. Rev. 875, 886 n.19 (2000). 8 204 S.W.3d 260 (Motorcyclist Ct. App. 2006). 9 75 F.3d 1414 (10th Cir. 1996). 10 891 F.Supp. 1085 (E.D.N.C. 1995). 11 885 P.2d 1 (Cal. 1994). 12 16 F.3d 1083 (10th Cir. 1994). 13 242 Cal.Rptr. 423 (Ct. App. 1987). 14 109 Cal.Rptr. 110 (Ct. App. 1973). 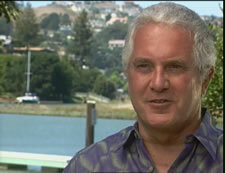 Paul Kayfetz, is with Paul Kayfetz, Inc., Engineering Photography in Bolinas, CA. He is an expert witness in the areas of visibility studies, comparison photogrammetry, computer virtual reality simulations and video. Background in engineering photography, primarily based on the experience obtained during forty years of consulting work of more than 4,000 visibility studies. See Mr. Kayfetz's Profile on Experts.com.